One of the most important factors in successful planning efforts for the upcoming school year is timely and accurate enrollment data. The sooner you are able to receive this information through your re-enrollment efforts, the better the position you will be in to determine and allocate the resources required to fulfill your mission and provide the level of quality education your families expect. Unfortunately, employing traditional methods of re-enrollment can lead to a long, drawn out process, one involving much stress and uncertainty. Interested in discovering a less stressful, more productive and timely way to conduct your school re-enrollment process? If so, have you considered moving from the more traditional opt-in approach to the opt-out process of continuous re-enrollment? If not, here are three reasons to do so. 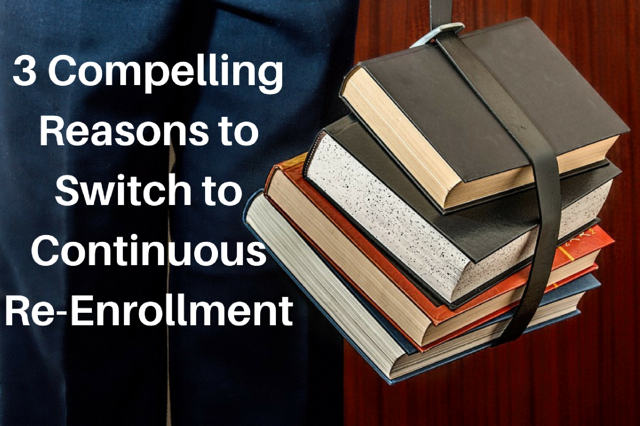 Traditionally, re-enrollment has been an opt-in process. In other words, each year families are asked “are you going to return?” And, like it or not, this question assumes there is a reason why they wouldn’t want to re-enroll. Furthermore, this process leads families to view their involvement with the school as an annual transaction rather than a long-term commitment. Continuous re-enrollment, on the other hand, assumes that families want to return the following year. 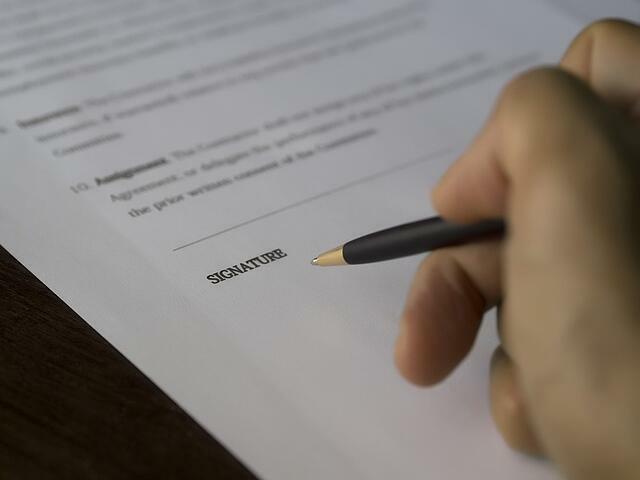 Similar to a car lease or mortgage, it is more than an annual transaction, there is a term associated with enrollment. One that implies a long-term commitment. Since it is highly likely that a majority of your families will return to your school each year, why not make the process simpler and more inviting for them, not to mention easier on you? Continuous re-enrollment takes the burden off of this majority by eliminating the paperwork and hassle involved in this annual event. Only those who do not plan to return will need to take the initiative to opt out. Continuous re-enrollment also reduces the workload of your staff since they will be dealing with a much smaller group as it relates to the completion of paperwork and necessary follow up. When it comes to budget and resource planning for the following school year, accurate enrollment data is key. Unfortunately with the traditional opt-in re-enrollment process, this information could take weeks, even months to obtain as you wait to hear back from the families who are late to respond. On the other hand, adopting a continuous re-enrollment process can provide you with that much-needed data much sooner. In addition, with continuous re-enrollment, potential retention issues can be addressed much sooner. For example, with an opt-in process, it may difficult to determine whether the families who have yet to respond intend to return and have simply failed to do so on a timely basis, or do not plan to return and are waiting until the last minute before notifying you of their decision. Continuous re-enrollment brings these issues to the surface much sooner, affording you more time to react to them.